ViewPAC-25W6/ViewPAC-4136 is the new generation WinCE based PAC from ICP DAS. ViewPAC combines WinPAC, graphic display and keypad in one unit. 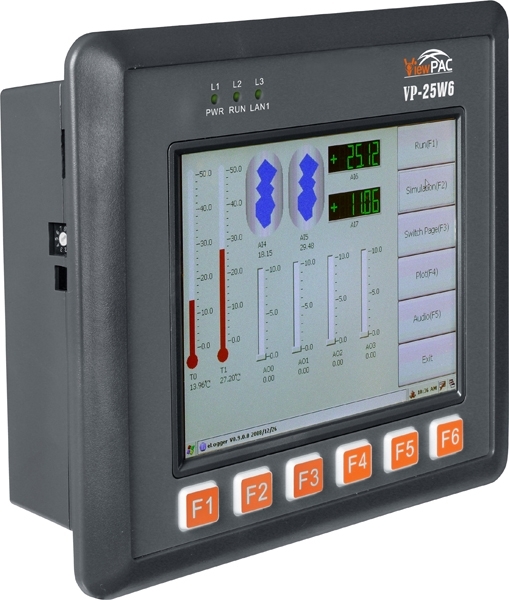 It equips a PXA270 CPU (520MHz) running Windows CE.NET 5.0 operating system, variant connectivities (USB, Ethernet, RS-232/485), 3 slots to expand I/O modules, 3.5”/5.7”/10.4” TFT LCD and a rubber keypad. Its operating system, Windows CE.NET 5.0, has many advantages, includes hard real-time capability, small core size, fast boot speed, interrupt handling at a deeper level, achievable deterministic control and low cost. 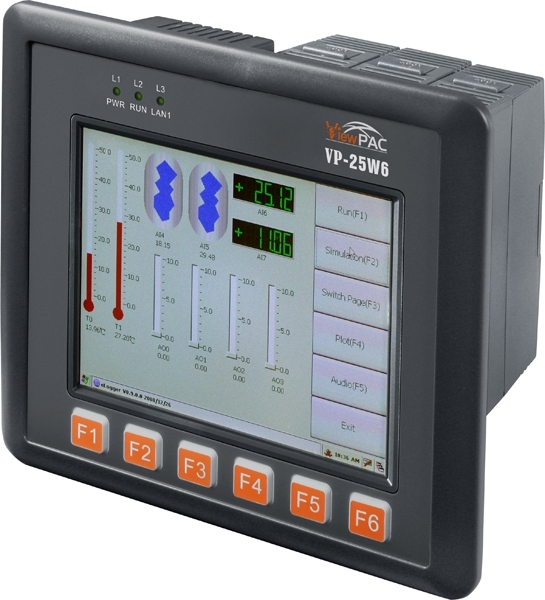 The VP-25W6 also features with the powerful InduSoft Web Studio and ISaGRAF. InduSoft is the most powerful, integrated collection of e-automation development tool that includes all the building blocks needed to develop Human Machine Interface (HMI) and Supervisory Control and Data Acquisition (SCADA) systems. ISaGRAF is a PLC-like software and supports all five IEC61131-3 languages (LD, ST, FBD, SFC, FC).